I am not in a very musical mood this week, dunno why! I just can't think of a good Music Monday song for my own listening pleasure or yours, so maybe I'll forgo MM this week, sorry guys! 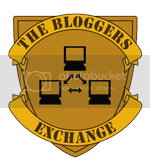 Instead, I am in the mood to talk about the First Commenter Club, which has finally released its member list over at my other blog. If you're a member of the FCC, please take a peep and start getting to know other members while "chopping" your heart out at their blogs! I'd also like to bring your attention to the FCC Blogroll recently installed here at MPG (sidebar). Like I mentioned at WOAFS, these are the members that I frequent when it comes to "CHOPs" and also those blogs that frequent me via the FCC. For members who would like to be included in MPG's FCC blogroll, please make sure you link back to Mariuca's Perfume Gallery and Wishing on a Falling Star at your sidebar prior to me adding you to my list. Don't forget to leave me a comment with your URL at this post, so I'll know who you are. Also, I will only accept members who are already actively giving out linky love to their first commenters, as per the FCC Rules. Okay, I'm done with this post! Now who wants to CHOP? You know what marzie! I just noticed that si JPP is not in! LOL! I forgot to insert the link.. But nemermine.. not important also that..LOL! Ya.. congrats debbs!! :-) :-) everyone 1 point here!! YAY!! Eh, dah ke? Thanks Marzie. Sorry lambat reply just now ya and kept you waiting. S’okay, yeah up oredi! Come to me $$$ from Phat Wallet! Lol!!! Come to MPG $$$ from Phat Wallet lagi. Phat Wallet pun pokai lol!!! I wan my wallet too be PHAT this month, don care! True, selalu early morning or late night chopping lol! Ha ha baru perasan, yeah la semua 1 point here LOL! Yay! Lama tak chop and today got one! I ni lama tak mengechop at CnS or ROTP! Oh yeah that bad day, tak suka la Mr. G like dis! Hugsy for CnS! I haven't gotten your email on the BR Marzie..
Email? Comment Ane, not email. U got it already right, as in the link for the code and how to add the BR to ur blog? CH is doing fine. Doing clearance sale and my customers asked me why my items are so cheap! Too bad peeps, higher prices next time lol!!! LOL!!! Don worry Ane, am sure ur wallet will be PHAT this month with ur new PR woo hoo! Ha ha tanya lagi, terus kena naik harga lol, some more ekonomi meleset so kena la price hike lol! TQ Marzie..lol!! Phat takpe, jangan F lol!! Phat Wallet's theme oso green...yay!!! Confusing right??? Ok wait, I will email u! Ane, can’t seem to see the scrollbar at ur blog though. Monica, see WOAFS, the complete list is there sweetie! I am replying comments and also looking for my mug cake recipe LOL! Feel like making la tonight ha ha hahhaha! Yeah la, took out the cocoa and butter oredi, then happily found the recipe and I saw got milk in the recipe! Aiya!! so sad.. so sad... but yeay for FCC !! LJ, what u mean you're losing yr presence in the blogworld? Yum Yum to mug cake with choc syrup! Yes Ane! I hear you! I'm also hoping to fulfil those cravings tonight!